I belong to all of these cults, and simultaneously subscribe to most of their conflicting theoriesespecially the ones that lean toward the principles of "less is more" and "keep it simple." I've also started my own cultI prefer to call it a schoolfounded on the ancient tradition of Taoist master and humble pupil. My cult strongly believes that the dominant principle behind all genuine invention is the chi of the designer. So instead of joining, say, the idler, triode, and hornspeaker cults, I prefer to study the paths of such living chi masters as Mike Moffat, Charles Hansen, John Curl, Frank Schroeder, Gordon Rankin, Mark Döhmann, Andrew Jones, andlast but far, far from leastNelson Pass, who tends to speak with the wisdom of a chi master: "There are two most essential principles to audio design. The first is simplicity. The second is linearity." Okay, all you high-rolling audiophile know-it-allswhat is the argument against amplifiers that operate in high-bias, class-A, single-ended mode, with the lowest possible parts count? 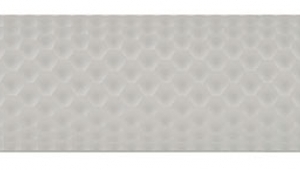 Is there a better strategy for beauty, rhythm, color, texture, and easy-flowing musical verity? I think not. And please explain: Why has mainstream audio gone to such ridiculous and expensive lengths to avoid building and selling precisely these sorts of amps? 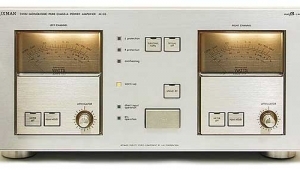 In response to such questions, Nelson Passof Threshold Audio, Adcom 555, and Pass Labs fameestablished a kitchen-table skunkworks, First Watt, to explore alternative amplification "With oddball characteristics and output power ratings of 25 watts or less." 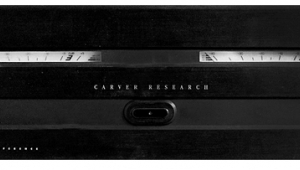 Since its founding, in 1999, First Watt has developed over a dozen unusual, low-powered, but famously musical amplifiers, as well as five unique "line stage products" that include buffered passive volume controls and active crossovers. 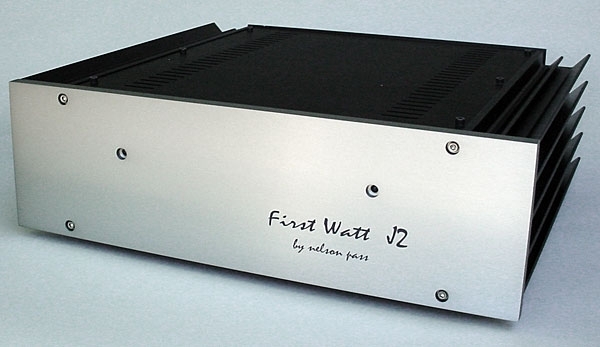 I am currently enjoying First Watt's J2 stereo power amplifier ($4000). Outputting 25Wpc into 8 ohms or 13Wpc into 4 ohms (footnote 1), it's a single-ended, class-A, direct-coupled, current-source design with just two stages, both JFET: one for voltage gain, the other for current delivery. A light touch of feedback is used to reduce the output impedance to just 0.4 ohm. 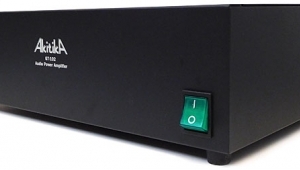 Happily, the input impedance is 100k ohms, so the J2 can be used with most any preamp, tubed or solid-state. The J2's voltage gain is 20dB, its damping factor into 8 ohms is 20, and it has both balanced (XLR) and single-ended (RCA) inputs. On the front, two blue-green "on" lights peer through a simple old-school faceplate. Nelson Pass: "Looking for tomorrow's faceplate with yesterday's circuits? You're in the wrong place." 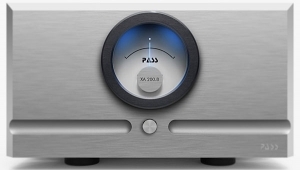 I used several excellent preamplifiers for this review, but most of the critical and musical thoughts I here commit to print were formed with Pass Labs' HPA-1 line stage/headphone amplifier driving the First Watt J2. To assess how the J2 handled a variety of loads, friendly and not so friendly, I organized my listening around the bevy of speakers I had on hand at the time. 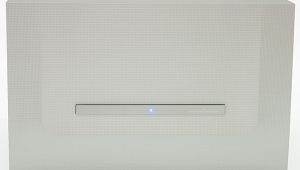 While writing my review of Zu Audio's Soul Supreme speakers, I knew that Zu's owner and designer, Sean Casey, recommends amplification by Nelson Pass. So I borrowed a friend's First Watt J2 to hear how it would do with the Souls, whose sensitivity is 96dB and nominal impedance 16 ohms. Instantly, my whole system lit up and danced. Bounce, drive, pace, rhythm, and melody grabbed hold of my consciousness. I was gobsmacked. 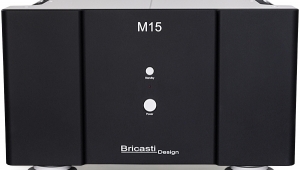 Rarely have I experienced an amplifier that did not over- or undercontrol the speakers it was partnered with, and thus dash all hopes of frolic and bounce. But in that regard, the J2 felt uncommonly perfect with the Zus. The First Watt was Fred Astaire, the Soul Supremes were Ginger Rogers, and . . . the results were much more than entertaining. I wondered: Where did all this beguiling vivo suddenly come from? Record after record, I kept musing: What was up with these hypnotizing momentums? How did this wide-open midrange and triode-like top end happen? And, more important, where did all this old-school authenticity and organic black soul come from? I'm listening to the title track of Nina Simone's 1958 debut album, Little Girl Blue (LP, Bethlehem BCP-6028), and feeling solidly connected to the singer, her time, her attitude, and her beyond-amazing piano work. Her fingerings were so decisively rendered that I remembered when a reporter asked her why she had to spoil her career with all that civil-rights activism, and she replied, "Because you wouldn't let me play a piano at Carnegie Hall." Brava Nina! Bravo J2! 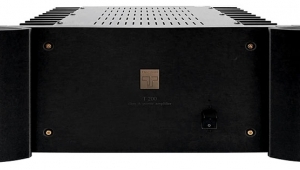 At my house, the J2 played the Soul Supremes ($4500/pair) with more melody-tracking connectedness than any other amp I've tried with the Zus. Think grainless images and head-shaking rhythms. Every aspect of the musicpace, presence, performancewas fully exposed. Bass was just-right tight, not too fat or lean. I was so bouncing-up-and-down impressed that I wrote to Nelson Pass, imploring him to send me a review sample of the J2. I used to spend countless late-night hours in the classical section of Tower Records, looking for spellbinding, emotionally powerful, spiritually elevating performances of music by J.S. Bach that might also have been divinely recorded. Unquestionably, my greatest spiritual-audio find was the 1961 recording, by Otto Klemperer leading the Philharmonia Orchestra and Chorus and the Hampstead Parish Church Boys' Choir, of Bach's most sublime creation: the St. Matthew Passion (3 CDs, EMI CD 5 67542 2). It features Peter Pears, Dietrich Fischer-Dieskau, Christa Ludwig, Elisabeth Schwarzkopf, Walter Berry, and Nicolai Gedda. Most important, Klemperer's extremely slow, dark, unabashedly romantic reading stimulates something very strong inside meand the sound quality plays no small part in facilitating this effect. Driven by the First Watt J2's 25Wpc, DeVore's 10-ohm Orangutan O/93s took me deeper than ever before into Bach's fusion of the liturgical and the dramatic. My hat is permanently off to producer Walter Legge and balance engineer Douglas Larterand to Andrew Walter, who remastered this recording for CD: chi masters all. Listening to this was high-level churchso please don't ask me to talk about highs, lows, or midranges. I refuse to listen for bass quality while wiping away tears of awe and love for nearly four hours! (Klemperer's is longer than any other recording of this Passion.) All I can say is that there was never a bad note of any kindI played this music extremely loudly, and heard no hint of distortion, brittleness, or stridency. It was a perfect-storm demonstration of why I am an audiophile and a student of music. 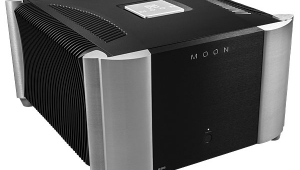 We all venerate different earthly and heavenly forces, but I believe that this sublime combination of composer, music, amplifier, and loudspeakers might be difficult to better at any time or any price. The Dynaudio Excite X14s are a little lower in sensitivity (85dB/2.83V/m) and impedance (8 ohms) than either of the speakers discussed so far. With the J2, they sounded rich and well-toned, but also dull and lifeless. 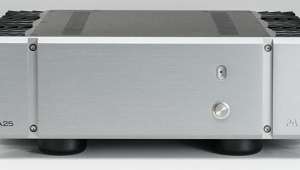 The modest Dynaudios needed more push and power than the First Watt could provide. With an impedance of 15 ohms and a sensitivity of 82dB/2.83V/m, Falcon's LS3/5a speakers image like an old Leica: solidly 3D. Foreground, middle ground, and background were unmistakably differentiated; recordings sounded wide, deep, fully open. The First Watt J2 enhanced each of these admirable traits. 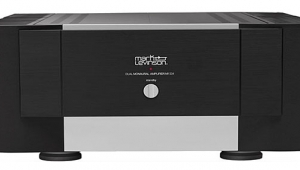 Footnote 1: These are the specs published on the manufacturer's website; according to the J2 owner's manual, the output power is 30Wpc into 8 ohms and 13Wpc into 4 ohms. thanks for spreading the word Herb! I have been listening to a J2 with Audio Note AN-J HE speakers for a couple of years now and my findings are very similar to yours. the amp creates a very strong emotional connection to the music. I should point out to readers that you were the first writer to popularize the later-to-become-iconic term "first watt" about 25 years ago. Perhaps you are too humble to mention this...or, more likely, you totally forgot! 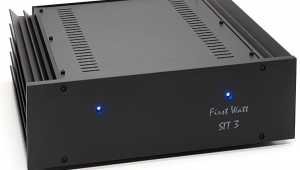 Anyone know how this amp compares to First Watt F7 amp? In general, I'm not sure how one would go about picking between the different models, other than to guess how well it matches the impedance of one's speakers, but if the speakers are sufficiently high in impedance and sensitivity, then what would you gain for the extra $1000 that the J2 costs over the F7? 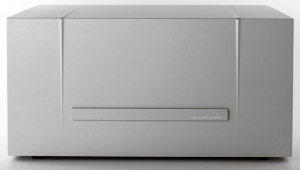 Hi Ktracho- For more info regarding the difference between the J2 & F7 (and the Pass SIT-1 mono blocks), check out the write up by John Richardson on all three amps with 3 different loudspeakers including Zu's Druid Mk. V, ATC's SCM 19 version 2 and my own Carbon 7SE's. this amp is on my must-demo list. I would have subtracted Charlie Hansen (a flake) and added Dan D'Agnostino to your list as above. Otherwise a very good article. Happy Listening! Sure, I have auditioned both D'Agostino and Ayre amps. Nothing inherently wrong w/ the products per se. I have seen many of CH 's comments in the various forums and he has always presented himself as a flake. Those of us who have been in the hobby for 20+ years understand that it is "flake" laden. it's listed as 101 dB on the website. Are yours really 96 dB? The specified sensitivity is, shall we say, "optimistic." My estimate of our review sample's voltage sensitivity was 91.5dB/2.83V/m. wow- bit of a discrepancy! I'm surprised. 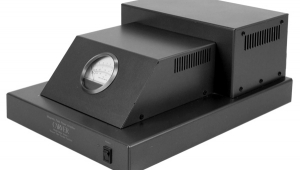 In the measurements for the Soul speaker review, you state "My estimate of the Zu Soul Supreme's voltage sensitivity was 91.5dB/2.83V/m, which is lower than the specified 97dB/W/m but still much higher than average". Zu states 101 dB. Where does the "specified 97db/W/m" number come from? And has Zu had any response to this? 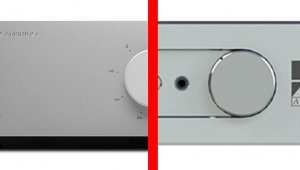 does this amp have a built in equaliser (Fig.1)?